Touring Downtown Lodi Restaurants with Savor Lodi — Lodi Live! Stop 3: Dancing Fox enjoy a sandwich, bread pudding, and try a few of their homemade wines. 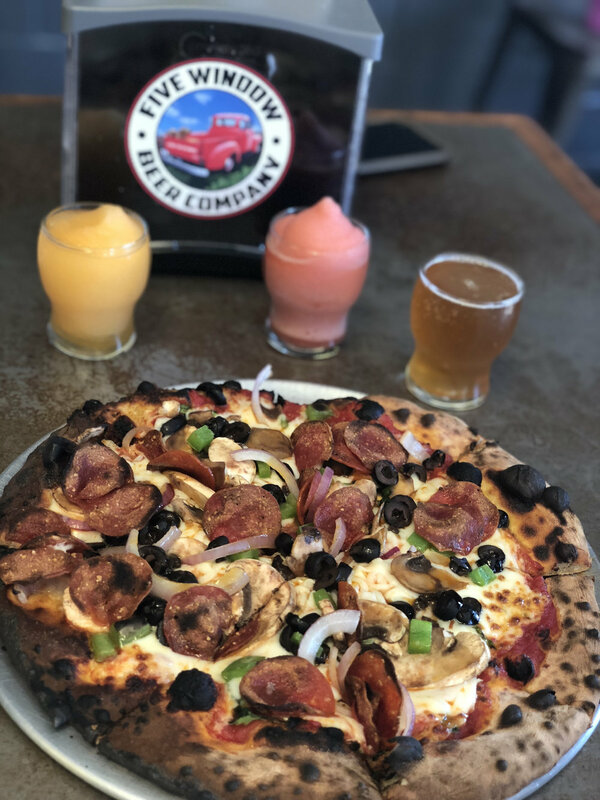 Stop 4: Five Window serves up one of their freshly made pizzas and either a beer or wine slushy. Stop 5: End the tour with some delicious Gunther’s ice cream at Double Dip Gallery. There’s a new business in town and you need to check it out. 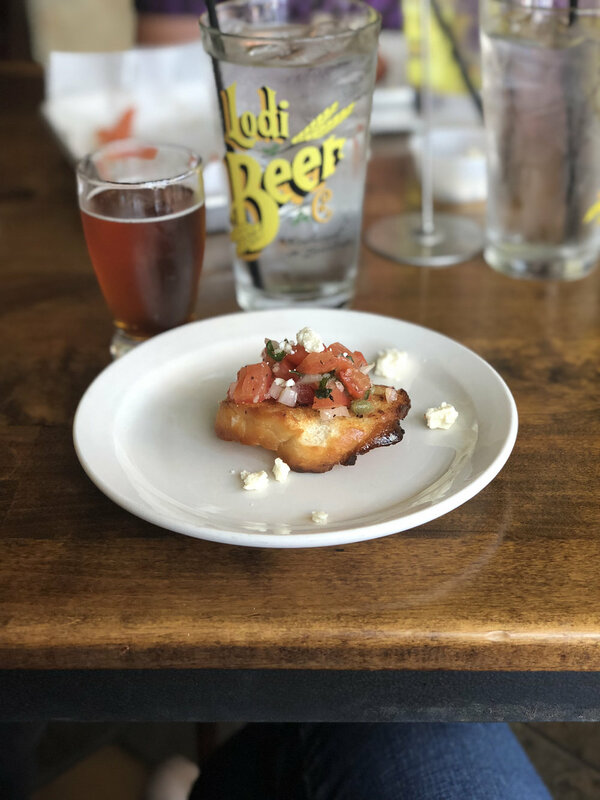 Savor Lodi is the brainchild of Juliet and Scott Fyffe, and it’s a walking food tour of Downtown Lodi restaurants. Savor Lodi hosts group tours on the weekends for lunch, dinner and now happy hour. They work with a few restaurants to highlight some of the best food in Lodi’s downtown area. At each stop, the featured restaurant has a reserved space for your Savor Lodi group, and food and a drink already on the table waiting for you. The restaurants choose one of their signature dishes and drinks, then make a smaller version so you can enjoy a taste at each stop without getting too full. Juliet and Scott keep the walking portion fun by sharing the history of different downtown landmarks as participants walk between restaurants. Even as someone who grew up in Lodi and as involved in the community as I am, there was a lot I learned during the tour! The walking is also really nice because it helps prevent that too full feeling. One of the most fun parts about each stop is that the employees and owners sit and chat with the Savor Lodi group about the dishes they’re serving. You can really feel how much pride they have in their work. Even if you’ve eaten at the the restaurants on tour before, this is a whole new way to enjoy your meal. It elevates the food from being a meal to an experience.